Movies and music have always remained crucial entertainment elements in the American market. Over years, their digital formats have gained almost equal popularity. For several decades, tax was related to commodities that could be weighed, packaged, mailed or carried, it was not possible to neglect the growing market of intangible products for long and sales taxes were levied on the intangible goods too (including services). For almost over half a century, US population has inclined towards the digital products. Owing to the convenience and quality associated with them, the market of digital goods is likely to expand more as a whole. 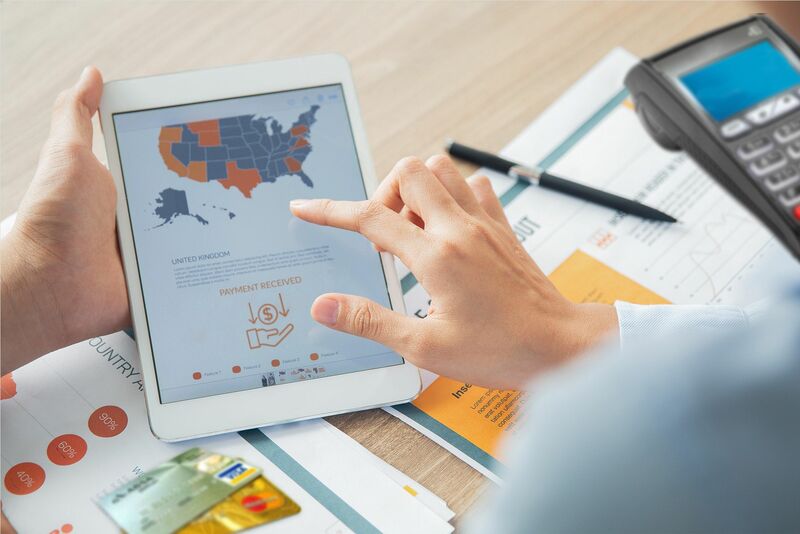 It is important for the high risk merchants selling digital goods and services in different parts of the US to know how taxation works for them. Overlooking tax obligations can be dangerous for any business as it will put it at risk and also cause losses. As on record, revenues generated by US music streaming services in 2016 reached $3.9 billion. Other digital products experience similar trends. Looking at this gigantic transferal to consumer digital products and services, more and more countries are taking out time to propose and impose new digital tax laws. Within the United States of America, state governments are not having uniform digital tax laws. The current number of US states that have levied tax on digital commodities like ebooks and courses is over 20. States that make it to the exclusive list include Washington, Texas, Pennsylvania and North Carolina, however, the tax rates vary from 1% to 7% in these states. On the other hand, states such as California, New York and more than 20 others have kept the field of digital sales tax free. As you already know, when it comes to the digital products tax laws the adaptation and application both have not been uniform across the states. This implies more confusion to the merchants, especially those who operate their businesses in more than one state and those who have nexus expanding in more than one state. It takes true object or a dominant purpose test to decide on the property sold with some service is part of the service or has to be treated separately for the purpose of imposing tax. Got even more confused? No wonder. It was not too long back when Netflix tax reignited the already hot topic of tax on digital products and services. Every merchant big or smaller is interested and influenced with the very issue. True that, it is not easy to comprehend the complexities of digital taxation. We have made a serious attempt to make it work for you and more merchants planning to sell digital goods and services in the US market. Digital business owners are supposed to pay taxes on products according to the tax laws of the particular state if they are physically present there. In simple words, no matter where main or registered office is, for selling any digital goods or service in a state, a merchant will have to pay taxes for every single product they sale according to the state in which sale is done. It may sound rude to most of you, but if you look at it closely, it has a positive side to it. As you already know, not all the states across US have imposed taxation on sale of digital goods and services. Thankfully the US has provided you freedom of choice. In such situation, you can prefer making sales in the states that have kept the field tax free, or where there is less rate of tax. It was about selling digital goods in the US by US merchants. If you come from any other nation outside the US, you must be pondering how difficult it is going to be for you and alike. Digital sales are global in nature and hence some interesting combinations of buyer-seller locations come up. Sellers who neither live in the US nor have any business related thing (or tax nexus which implies office, warehouse, affiliates etc.) to do with any of the US states, do not have to collect taxes from US based buyers. On the contrary, even if you don’t live in US but have a nexus in a US state that observes taxes on digital products, you are subjected to taxation. At the same time not obtaining sales tax permit disqualifies you from collecting the sales tax.